DUBLIN - President Obama opened a four-country, six-day European tour when Air Force One touched down in Ireland on Monday, where his largely ceremonial visit will highlight America's deep ties with the Irish. Mr. Obama and first lady Michelle Obama made their way down the plane's steps through the driving wind and rain to be greeted by Irish officials on Dublin airport's tarmac. The couple quickly climbed aboard the Marine One presidential helicopter for the onward journey to Irish President Mary McAleese's official residence in Dublin, where the Irish leader was to formally welcome Mr. and Mrs. Obama to the Emerald Isle. The centerpiece of Mr. Obama's 24-hour stop on the Emerald Isle will be a visit to Moneygall, the tiny village where the president's maternal great-great-great-grandfather was born. Residents in the town of 350 eagerly anticipated Obama's arrival and the chance to raise a pint with the American president who shares their roots. CBS News senior White House correspondent Bill Plante reports that, while the president is obviously not a full-blooded Irishman, he is, like four other American presidents, Irish enough to make a stop in the ancestral homeland of tens of millions of Irish-American voters. His great-great-great grandfather, Falmouth Kearney, left Moneygall for America in 1850, and the village - freshly painted, prettied up and stocked with souvenirs - was charged in anticipation of his arrival. He was to meet some distant relatives and drop by the local tavern. The White House said the trip was to "celebrate the relationship between our two countries and the contributions Irish-Americans make to our deep and broad ties." Mr. Obama will meet also meet with Irish leaders and deliver a speech in the center of Dublin that is expected to celebrate Irish culture. 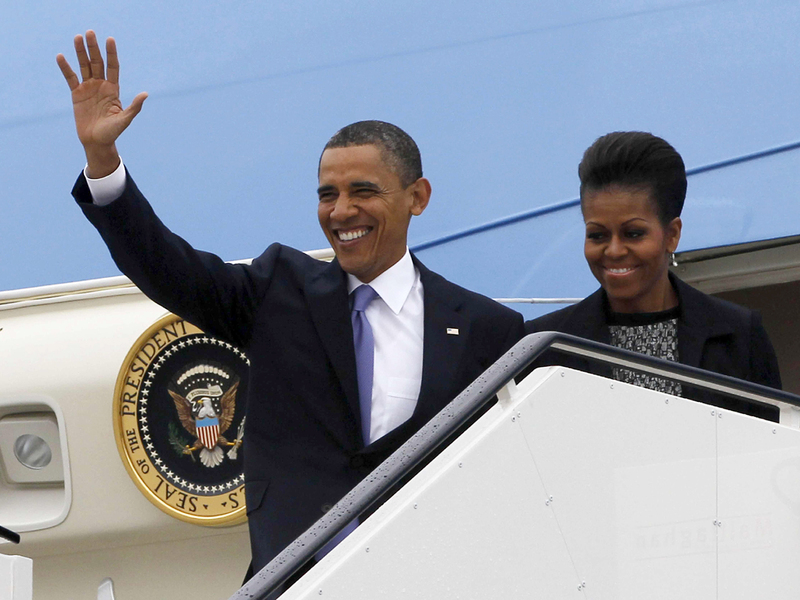 From Ireland, Mr. Obama will travel to England, France and Poland.